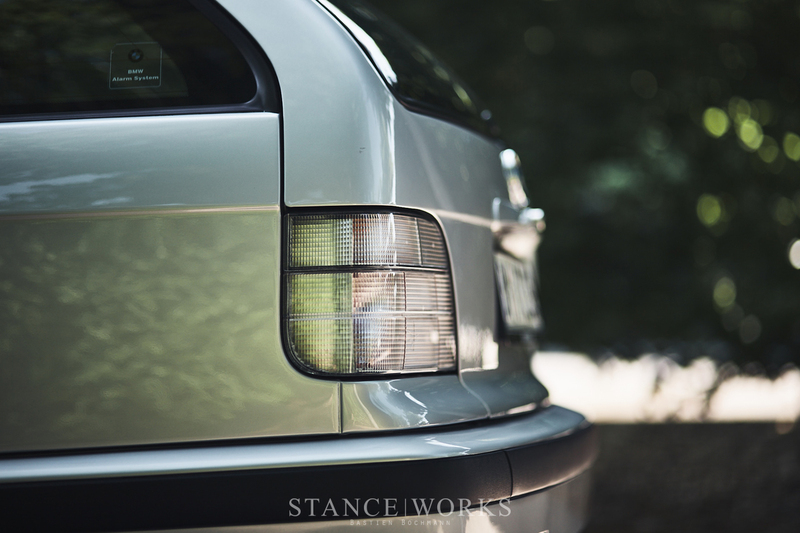 When BMW introduced the E30 Touring back in the '80s, they combined sport and utility to create a new wave of European wagons that were nimble, relatively quick, and nice to look at. 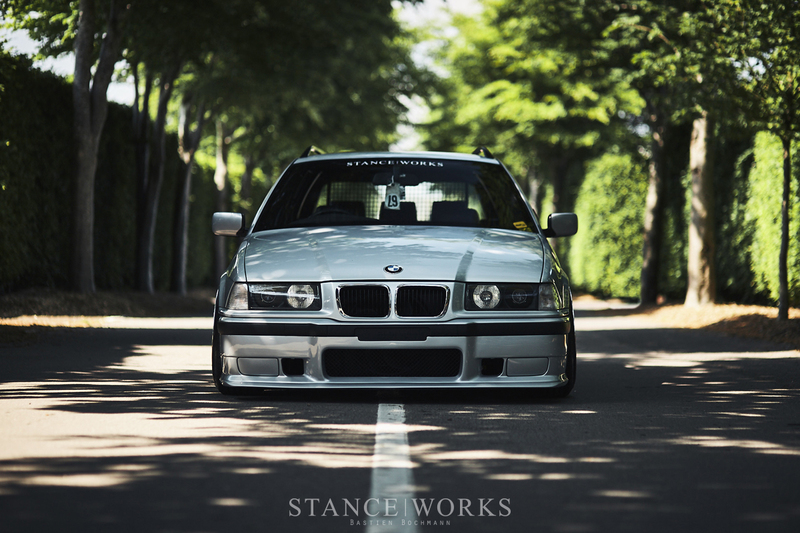 It is no wonder then, that it's successor, the E36, would get it's own Touring model. About six years ago, Scott Paterson was the owner of two oldschool Minis that he was restoring together with his father. They were one of his first passions in the automotive world. 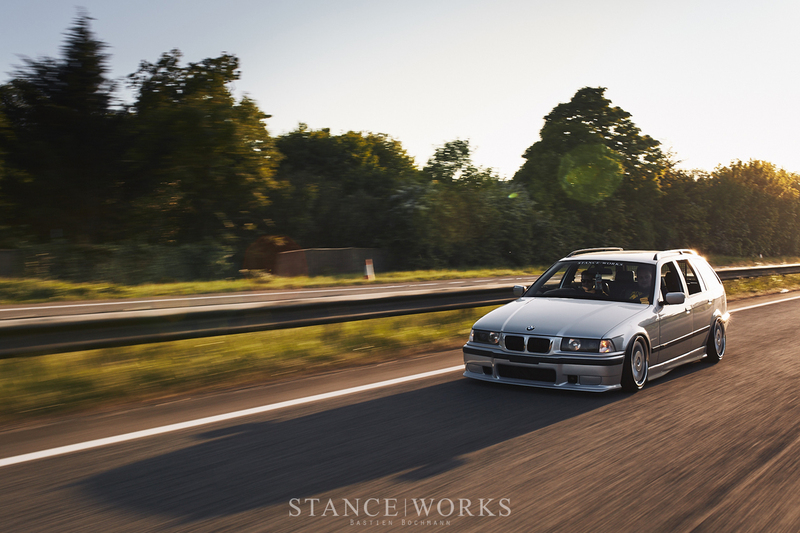 He was already a member of the StanceWorks forum at that time, and through the forum he met his fellow Scotsman Alex McArthur, who was the proud owner of a pale blue E36 Touring. When Scott first saw the car in person, he fell in love with the looks of the estate – and he fell hard. He quickly sold off his Minis and proceeded with the hunt for a Touring. In January of 2013 he finally found a decent example. The car needed some work, but Scott quickly turned it into something to be proud of. 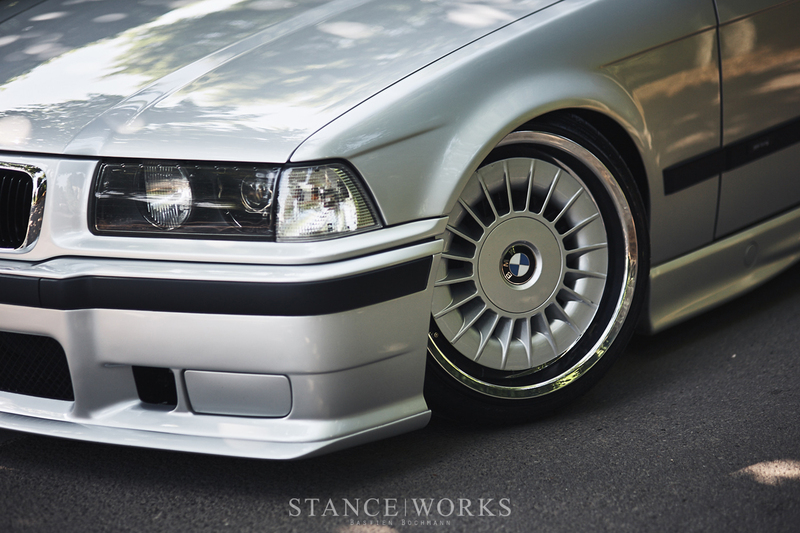 A partial respray, M-bumpers, a set of coils and some staggered oem Style 32s had it looking proper. Scott kept changing little bits here and there, all the while keeping to his chosen way of having the car look very OEM, as if it could've come from the factory like this. A lot of his attention went into the interior, which he retrofitted with heated leather sports seats (to which he actually fitted the electric lumbar support from the comfort seats) and a lot of BMW Individual extended leather pieces along with a black headliner. Scott has been bitten so hard by the Touring bug, he now actually owns two of them – this silver one, and a red 318i, which is his daily driver. 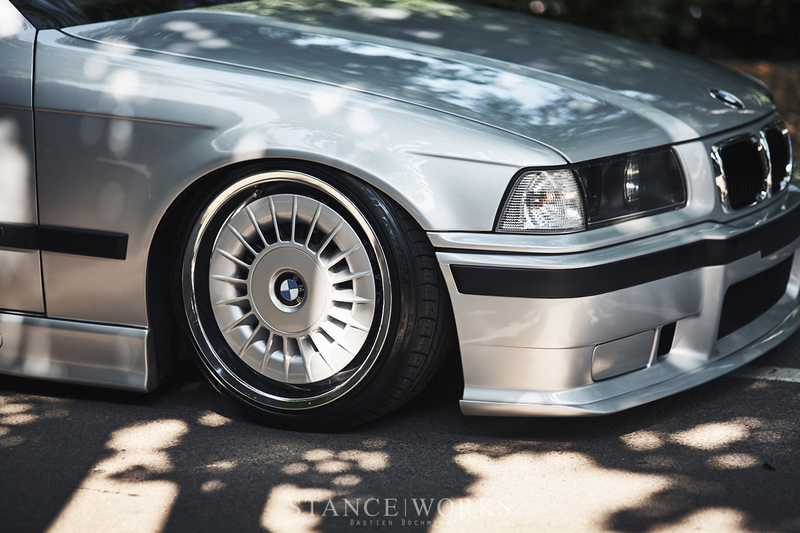 Not having to run the silver one as a daily driver made it possible for him to make some further changes to it. He changed the old FK coilovers out for a set of BC coilovers with some custom spring rates, and he acquired a set of 9x17 squared M-System wheels for which he has both covers, throwing stars and turbines. 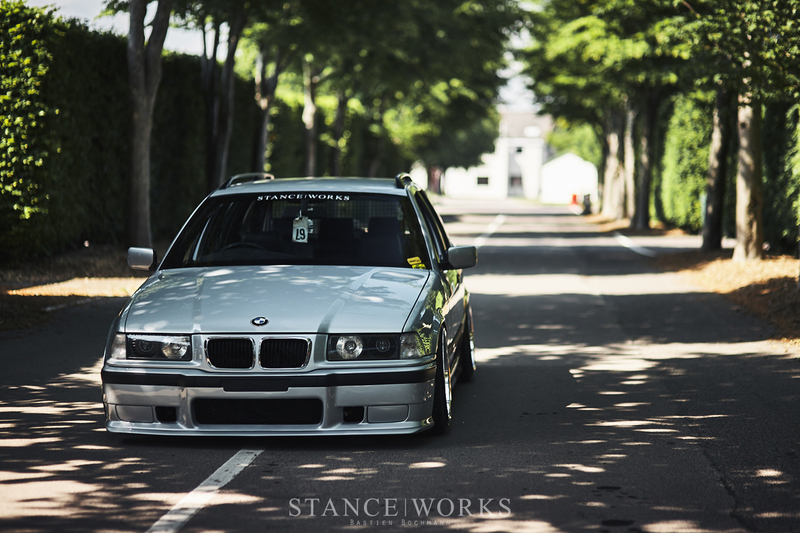 The car is so low to the ground yet it rides amazing and just begs to be driven hard. That first meeting with Alex way back then started a friendship that lasts to this day – and it's not the only friendship the Touring started for Scott. 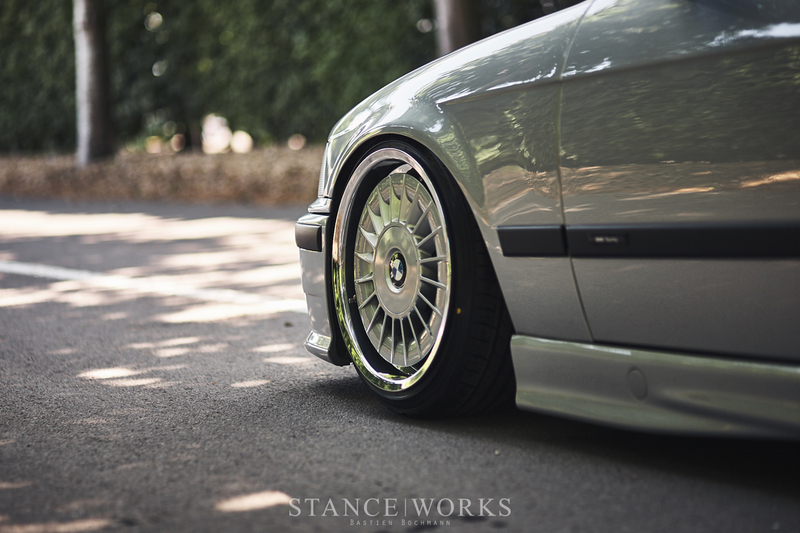 Through the Stanceworks forum, Scott met a lot of other people – including myself. We had been chatting and bonding over our Tourings even before he bought one. When I parted mine out, Scott told me that it had actually been one of the main inspirations for his car – which to this day I still can't quite believe, as his is so much nicer than mine ever was! We formed such a strong bond over the cars, that I consider Scott to be one of my best friends today, even though we live in completely different countries a few hundred kilometers apart. Scott came over to Germany in 2014 and I remember his reaction when he first saw my car. This past weekend, I traveled to the UK, and after so many years of friendship and helping each other out with shipping parts and advice, I finally saw Scott's Touring. I was speechless for a moment. It looks so good in pictures, but they really don't do it justice. 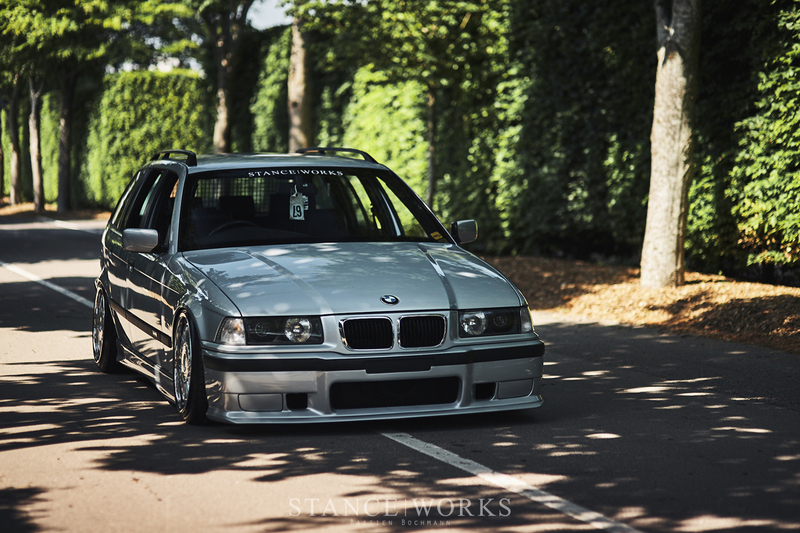 It's the cleanest Touring I have ever seen. Knowing how far he's come with the car and what he had to put up with because of that car, I feel incredibly proud of Scott for following his dreams and building exactly what he had in mind when he first set out. 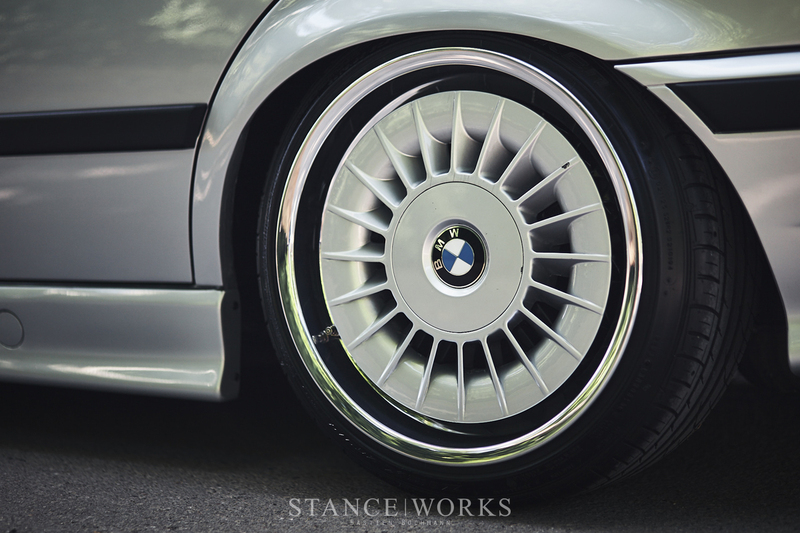 Here's to many more happy years of ownership and a big thank you to Mike and his team for creating the Stanceworks forum all those years ago. Without it, it's likely that this car would've never happened and we would've never met. This car proves yet again that some of the best friendships are created through a mutual love for a metal box on wheel.